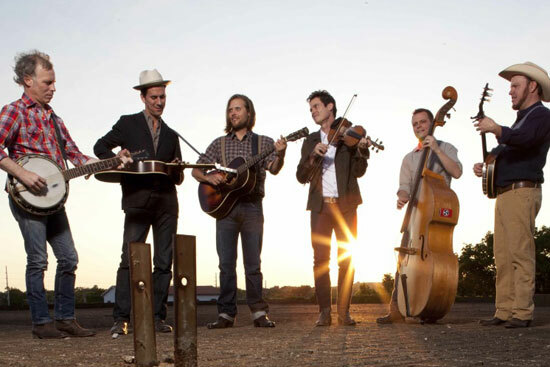 Nashville’s Old Crow Medicine Show is launching its new tour tonight (11/15) in Madison, WI, with a busy string of US dates running through December 6 in Tulsa, OK. The popular group is touring in support of its fourth album Carry Me Back, which was released July 17. Following the conclusion of its Dec. 6 show in Tulsa, OCMS will make three appearances on the Grand Ole Opry in Nashville (Dec. 8, 14, and 15) before headlining a sold-out New Year’s Eve show at the Ryman Auditorium. In 2013, the group will head to Ireland and the UK for several dates, and is already scheduled to play the Stagecoach Festival in Indio, California in April. Upcoming dates are below. Additionally, OCMS is featured on the upcoming The Music Is You: A Tribute to John Denver, which will be released in February 2013. OCMS covers Denver’s “Back Home Again,” and other guests include Dave Matthews Band, Train, Brandi Carlile and more.